Using the fabrics from the Matryoshka illustration, I have done two new designs. 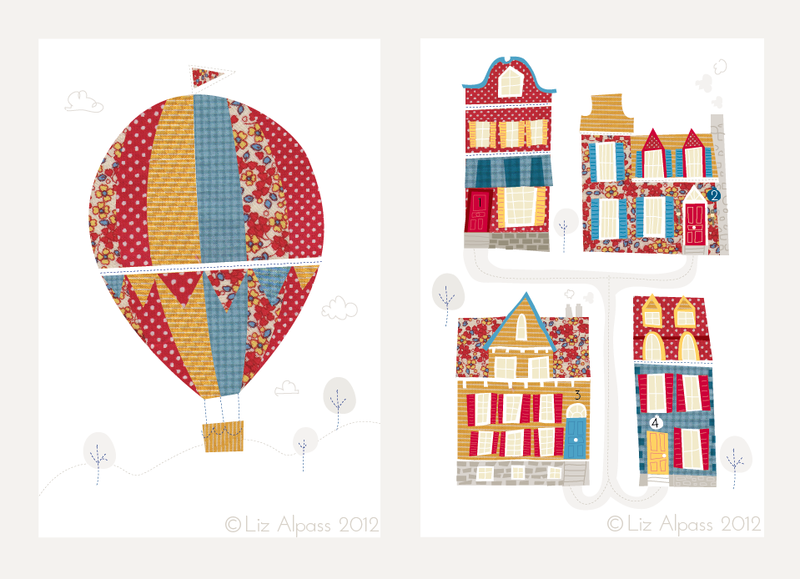 Here is 'Up..Up..and Away' and 'The Neighbourhood'. I hope you like them! Thanks. They are a bit of fun to do, hence why I have done 3 of them already Rach! So nice to have you as a follower too!